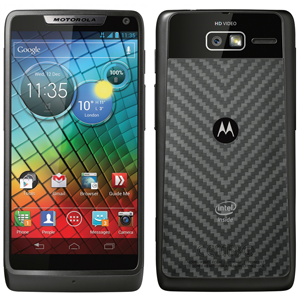 The Motorola Droid RAZR HD comes in as the flagship device for the late 2012 Droid RAZR line. Serving as the big brother to the RAZR M, the RAZR HD offers a larger and higher resolution 4.7" 720p Super AMOLED panel and a larger 2530 mAh battery. The rest of the specs, including the 1.5 GHz dual-core Snapdragon S4 and internal memory, remain unchanged compared to the M. All of this is wrapped up in an 8.4 mm, splash-resistant casing. All times are GMT +3. The time now is 23:44.